The Invacare Comfort Toileting Sling Net is designed to support the whole body and suitable for patients with chronic pain. This Sling has an opening to help with toilet transfers and other routines like adjusting the patients clothes. The Comfort Sling is also suitable for above-knee amputees and those who prefer to remain seated, due to postural pain. 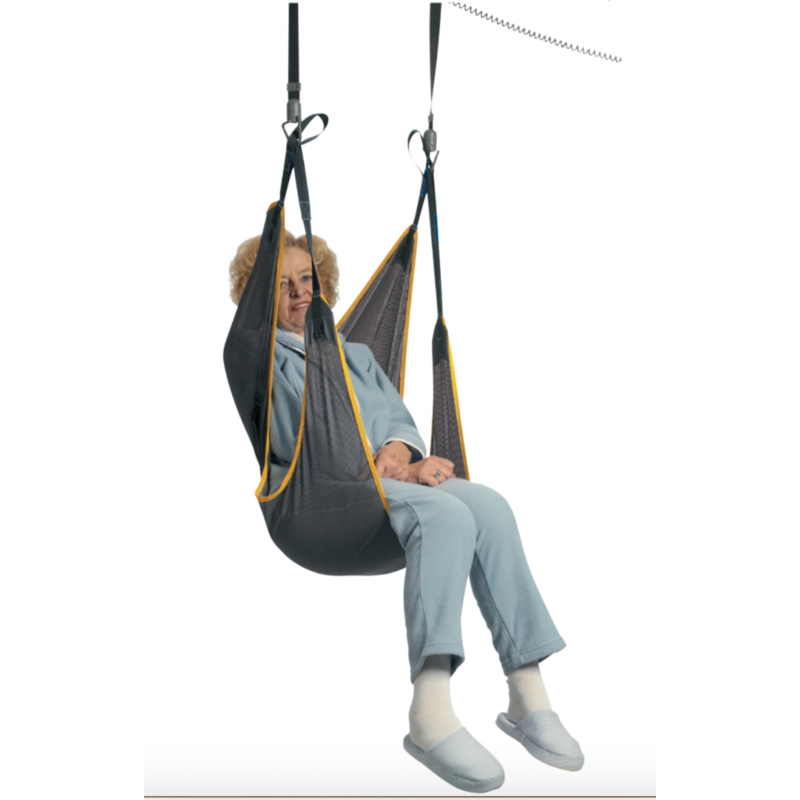 The Comfort Sling can be applied whilst the patient is lying down and can transfer them to a seated position. The Solid Polyester fabric smoothly slides and drys quickly after washing. Amputee Sling - PolyesterThe Invacare Comfort Toileting Sling Net is designed for clients with singl..